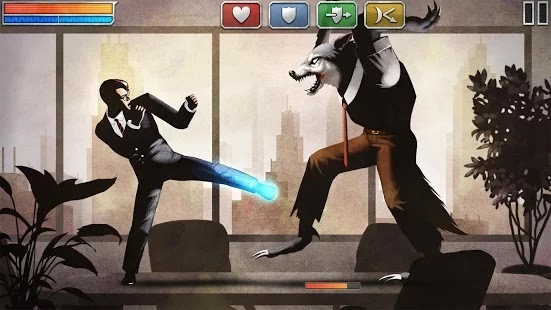 The Executive is a 2D cinematic, martial arts action fighting game developed by the developer of the award-winning Pizza Vs. Skeletons. A company under attack by werewolves and it’s your job to save your employees as the CEO of the company and eventually save the whole city from their dastardly schemes. This awesome game packed a high-speed combat system, timing-based running and platforming, with 120 hand-crafted missions , multiple skills and upgrades, and a simple mining company simulation for earning money, all into one cohesive experience. The fighting engine educes a cross between Street Fighter II and Zelda II: The Adventure of Link, with controls designed from scratch to be ideal for touch screens. 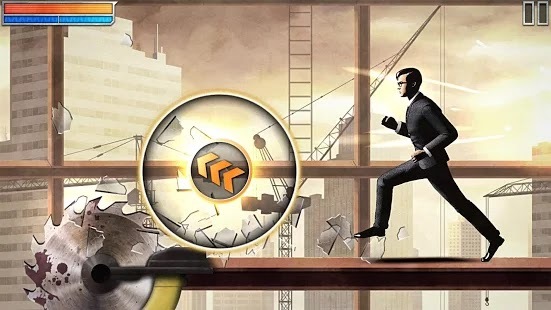 The platforming (or “stunt”) segments require precise timing, similar to Elite Beat Agents but with an emphasis on visual timing instead of musical rhythm. 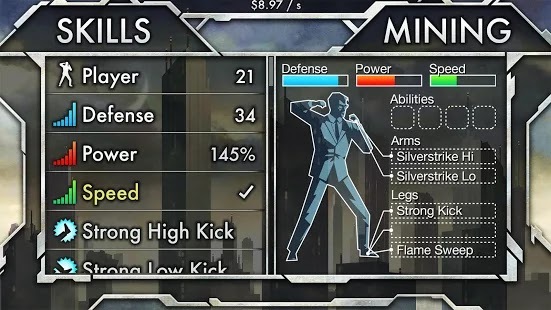 All of these mechanics are brought together by the SP bar, which allows you to execute gesture-based special moves like flame kicks, health restoration, and even morphing your character’s arm into a silver spike to impale foes. -> 120 levels, hand-crafted one pixel at a time. No randomly generated endless filler. -> 12 Menacing bosses that will require your strategy and skill to defeat. System requirements: Android 2.3 and Up with atleast 103mb free memory. 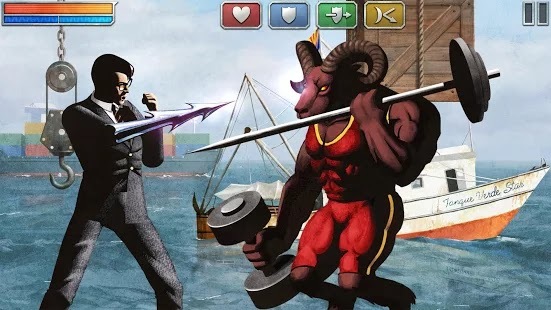 How to install The Executive v1.1 – For Android [full Apk + DATA file]?